Acts as a catalyst for change in Everett and surrounding communities. Offers a unique “welcome table” philosophy that allows competing health systems and human service agencies the opportunity to work collaboratively across sectors. Collaborates with Health Care for All and nine other health care advocacy organizations in Massachusetts to implement components of the Affordable Care Act. Provides services at the satellite office at the Scalabrini Center in Everett and supports three other sites in Framingham, East Boston, and Somerville. Assists clients in completing and renewing health insurance applications. Ensures clients learn how to navigate and access health care independently and advocates for them when they need extra support. Provides outreach programming designed to connect with “hard-to-reach” individuals and families in Everett and surrounding communities. Collaborates and completes mission-driven programs and projects in collaboration with more than 30 partners in Everett and surrounding communities. Provides Self-sufficiency & Health Insurance workshops to many businesses and local partner organizations. Hosts an annual Spring Parent University Conference providing parents, caregivers, and educators with current topic issue resources for raising children from birth through high school age. 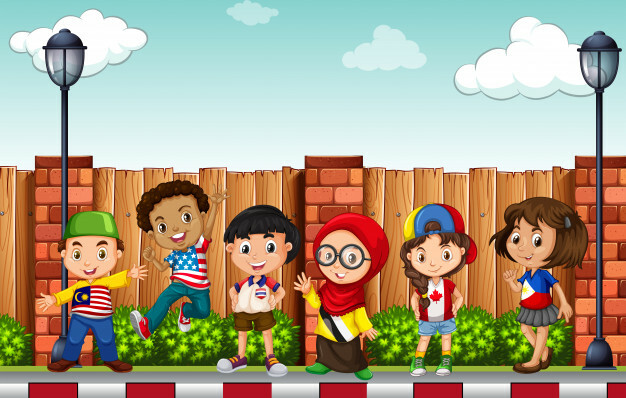 Promotes parent involvement through Kids United by Awareness (KUBA) parent group. Fosters healthy lifestyles and developing leadership skills for youth and teens through (KUBS) in Kids United by Service collaboration with the Malden YMCA Student Enrichment Program. Follows strategic Fundraising and Major Donors Giving plan to fund mission-critical programs and projects as well as administrative operations for the JCCHCE. Secures multiple grants and donations/sponsorships annually from state and local funders and foundations. Connects with the community through traditional and social media such as brochures, flyers, and media packets, a web site www.jcchce.org and a Facebook page promoting affordable health access to all children, families, and adults in Everett and surrounding communities. Recruits and retains diverse bilingual and bicultural Board members, staff and volunteers who passionately support our Mission. Acts as a resource and referral agency to connect individuals and families with our Partner organizations. Serves as a training site for many internship programs including the Summer iWorks Intern-ship Program offered by Suffolk University’s Center for Public Management, the Department of Children and Families, and AmeriCorps Volunteers. 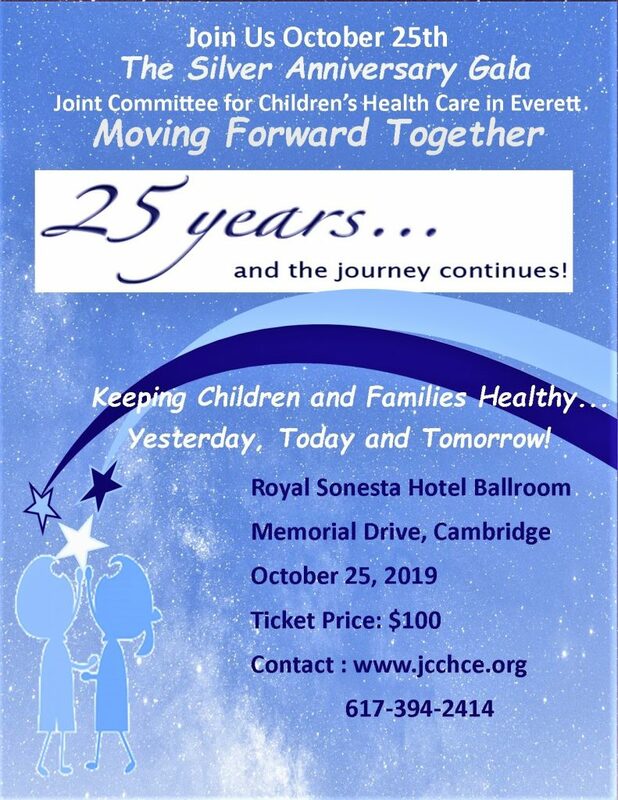 1994- The JCCHCE was formed to address the health issues of a child in the Everett Public Schools that had no health insurance. 1994- Present, the JCCHCE has assisted and directly served more than 250,000 individuals and families to enroll in health insurance. 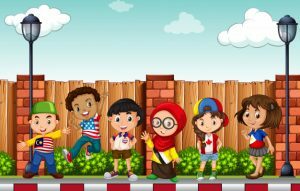 1997- 2000, The JCCHCE identified a gap in the Public School Health Education program and set out on a three-year plan to address the issue. All nurses, counselors, and health educators were trained in the new curriculum. — children in schools and parent/caregivers were also educated. 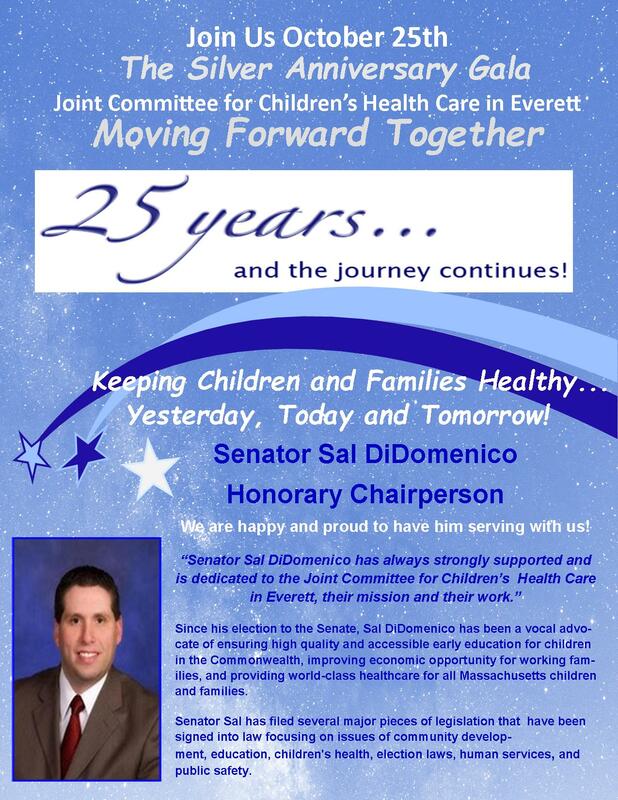 1998- JCCHCE received the prestigious award “For the People Award” from Health Care For All, the leading health advocacy organization in Massachusetts. 1999- Partnered with Everett Public Libraries to offer parenting education seminars. 1999-Implemented and provided multi-lingual outreach including Back to School Campaign with Lunch Program (SMIP) in Everett and multiple year-long planned Outreach events and programs in collaboration with our many partners. 1999– Child Injuries were noted as a public safety issue and a plan was developed to distribute bike helmets across the city. Over 3 years, 2800 were distributed. 1999– To address a need identified by Everett Public School Nurses, the JCCHCE purchased nebulizers for the schools to use to support children with asthma. 2000– The success achieved by the Joint Committee through its outreach and public education efforts was studied by Mathematica and won national recognition from the Clinton Administration. The City of Everett won the Millennium Award that year. 2004- The Joint Committee received the Community Service Award of the Tri-City Community Action Program, and the Outstanding School Partner Award from the Everett Public Schools. 2006- Sponsored the annual walk “Walk It Out For Kids” beginning in 2006- 2013. 2006-2007 JCCHCE along with Cambridge Health Alliance and Everett City Government and Schools established an After-school program planning and the opening of an after-school program by For Kids Only (originally funded by $50,000 ASOST – DOE grant and $200,000 in city and school funding) This program continues to present day with huge success. 2008- Began participating in the “Walking School Bus” in collaboration with MA Safe Routes to School, Energize Everett and the Everett Public Schools. Offered through 2016. 2010-established new partnerships such as Museum of Science, Youth Harbors, Department of Children and Families as well as maintaining relationships with our long-standing partners. 2010 Supported A Better Tomorrow Services by raising money to send to Haiti following the devastating Earthquake in the fall of 2010, and by providing support and community connections to new immigrants from Haiti who joined relatives living in Everett as a result of the quake. 2010 established many physical fitness and nutritional programs for the Everett community such as “Walking School Bus,” Wednesday Walks, Zumba, Boot Camp and Inspirational “Good Choice” classes at the high school and for 7th and 8th graders in the Everett Public School. Established a new partnership with Energize Everett. 2010 -Present, Supported the Everett Police and other local organizations to reduce racial inequities in traffic stops. 2010- Present, partnered with JCCHCE and the Institute for Community Health (ICH) in collaboration with Cambridge Health Alliance( ECHIP)along with many Everett Partners such as the Everett Police Department established “HEFA ,Healthy Everett For All” to increase immigrants’ knowledge of available health insurance and health services and their willingness to utilize available services. 2004-Present, Secured multiple grants from Blue Cross Blue Shield Foundation, the Massachusetts Health Connector with the Navigator Grant, and the East Boston Neighborhood Health Center, Ludcke Foundation, Jessie B. Cox Foundation along with many long-time supporters and funders, in order to bring to the communities, the multiple programs offered by the JCCHCE. 2015- The JCCHCE was a partner with Everett City Government in winning the Robert Wood Johnson Culture of Health Prize for the City of Everett. 2011-2013 Continue to Outreach to seniors and protecting them against medical billing mistakes and fraud with our SMP program. Twelve staff members and volunteers were trained and developed an outreach program. 2016 to Present, continued working with Robert Wood Johnson Foundation, Conservation Law Foundation, and MIT CoLAB on a pilot program working on the “Healthy Neighborhood” study, transforming the conditions in which people are: born, grow, live, work, age for optimal health, mental health, and well-being. 2013 – Present, chosen as one of ten organizations in Massachusetts to implement the Affordable Care Act.